In doing so, they rely upon satellite communications (SATCOM) that goes where they go—as fast as they can get there. 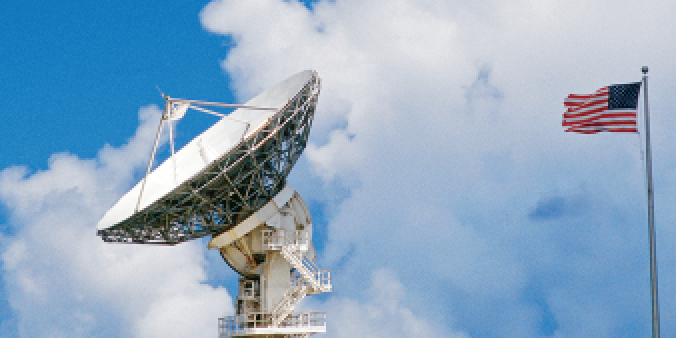 Department of Defense (DoD) users need instant access to resilient, robust and secure SATCOM around the globe, for the full spectrum of engagement. Commercial SATCOM (COMSATCOM) companies help military users achieve these objectives. They are constantly coming up with new innovations to extensively expand capabilities. They build systems from the ground up with U.S. government customers in mind, thereby, augmenting satellite resources cost-effectively, wherever and whenever needed. The private sector understands the military’s architecture requirements, budget restrictions and cultural challenges. They know how to seamlessly integrate with military satellite communications (MILSATCOM) to provide even higher throughput and performance for optimal redundancy, diversity, protection, scalability and global portability—the ultimate resilient, interoperable approach. 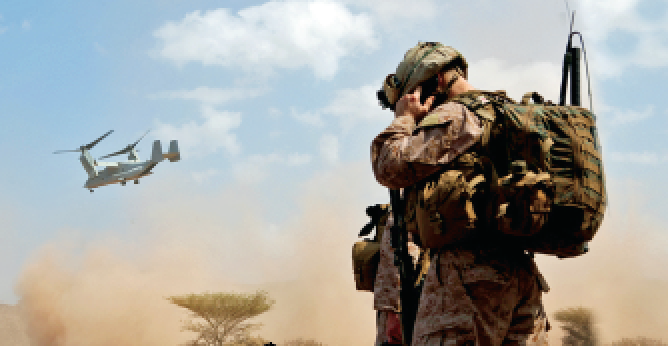 Indeed, thanks to COMSATCOM, advancements from the private sector can be integrated into the baseline of DoD architectures to “ease the pain” of agencies that must meet the users’ needs under the ongoing challenges of overstretched budgets. Expanding the presence of such integration would enhance industry’s relationship with government, elevating it to that of a fully realized partnership. This partnership would support seamlessly augmented connectivity and functionality, allowing users to operate reliably anywhere the mission takes them. However, the DoD budget challenges are combining with a piecemeal and antiquated SATCOM procurement models, as well as cultural challenges that prevent this, especially when it comes to augmenting government systems with the very best that industry has to offer. The government still primarily pays for COMSATCOM through Overseas Contingency Operations (OCO) funding—regardless of private industry’s proven track record in supporting mission-critical operations such as Airborne Intelligence, Surveillance and Reconnaissance (AISR), Very Important Persons Special Airlift Missions (VIPSAM), Blue Force Tracking (BFT) and emergency response and public safety. To further complicate acquisitions, key roles are assigned in a fragmented pattern within the Joint Staff, US Strategic Command (USSTRATCOM) and other government entities. Subsequently, agencies acquire terminals through military services and embed them into programs of record with no direct correlation to space system timelines. These programs of record have frequently suffered from delays and/or budget overruns, which occasionally qualify as Nunn-McCurdy cost breaches, resulting in the re-baselining of spending estimates. The government should consider no longer following a procurement model that forces agencies to add funding to cover contingencies. This creates an abundance of ad hoc networks and solutions—with little thought given to affordability or efficiency and, even more importantly, sustainability. There has to be a cultural paradigm shift. Specifically, leadership has to commit to the recapitalization of federal SATCOM procurement. The military faces intense competition for capital to fulfill modernization strategies while still dealing with the limitations of the Budget Control Act (BCA) of 2011 and an environment of continuing resolution (CR). Among an assortment of issues, this has posed increasing difficulties for initiatives in space, where new threats are driving changes in the US operating posture. The upshot: Troops depend upon mobile, data-intensive apps. They do not care who “owns” SATCOM. They want results, in the form of superior capability, portability, flexibility and resilience. The existing procurement model fails to address their requirements. A partnership will enable the DoD to augment capabilities while ensuring resilience in space, with seamless, satellite-driven mobility, connectivity and functionality. It will pave the path toward rapid and cost-effective innovation that is relevant to end-users’ needs—i.e., built to government’s requirements, in contrast to the US government development cycle that is time-consuming and costly. 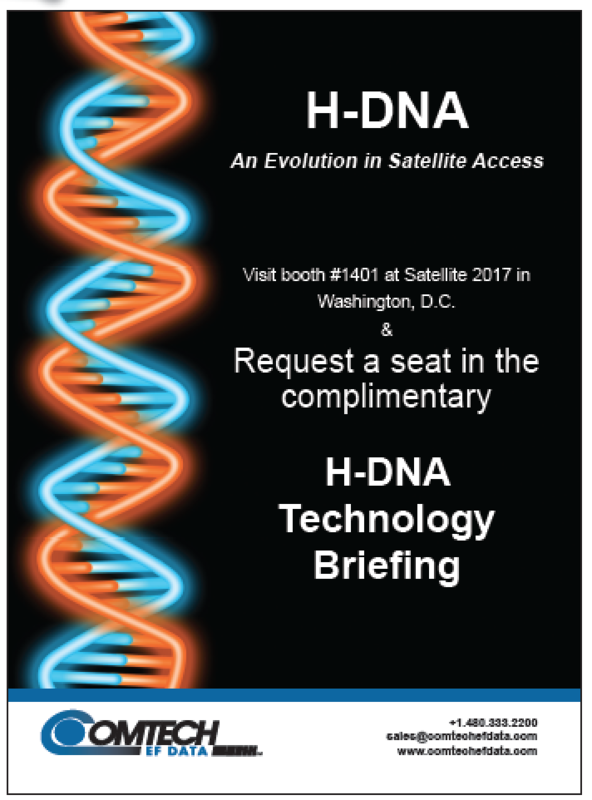 Fortunately, federal agency leaders and lawmakers are increasingly acknowledging this, voicing greater support for an entirely integrated SATCOM architecture: The National Defense Authorization Act (NDAA) for Fiscal Year 2017 stands as a means to consolidate, streamline and improve SATCOM acquisitions. It calls for the Secretary of Defense to develop study guidance for an analysis of alternatives (AoA) for a follow-on wideband communications system to the Wideband Global SATCOM (WGS) system, which includes space, air and ground layer communications capabilities. The study guidance would include the full range of military and commercial satellite communications capabilities, acquisition processes and service delivery models. Such assessment is focused upon the achievement of order-of-magnitude improvements in SATCOM capabilities. The US Air Force has expressed a keen interest in bringing commercial operators into the analysis to determine the right way forward, rather than simply buying more DoD-owned satellite assets. As part of its analysis, the US Air Force is also exploring alternative business relationships with SATCOM suppliers rather than the historical and dated transponder leasing of the extended past. In addition, the US Air Force announced that it plans to formalize the permanent creation of a commercial presence within the Joint Space Operations Center (JSpOC). 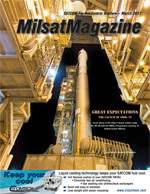 This follows the launch of the Commercial Integration Cell (CIC) pilot program with JSpOC in 2015, one through which Inmarsat and five other satellite services companies—DigitalGlobe, Eutelsat, Intelsat, Iridium Satellite Communications and SES Government Solutions—have shared technology and information with the government on a no-cost basis. After signing six Cooperative Research and Development Agreements (CRADAs), which enable industry and the government to share technology and information on a collaborative basis, industry has worked with JSpOC to increase integration and space situational awareness while enhancing the command and control capacity of the Joint Functional Component Command for Space (JFCC Space) under USSTRATCOM. The CIC has focused on the development of processes and commercial/government integration in conducting conjunction (or debris) assessments and addressing electromagnetic interference and resolution. Lastly, President Trump and his team have made strong, forward-looking statements about space programs, emphasizing these programs as one of the administration’s key interests. President Trump “made space policy a major part of his final campaign message and Vice President Pence has been very enthusiastic about the role he would assume as head of the new National Space Council,” said former Pennsylvania Republican Congressman Robert Walker, a senior advisor to the Trump campaign and a former Chairman of the US House Science, Space and Technology committee. “The council would help keep space issues front and center during the Trump Administration … its space policy puts a priority on reducing the vulnerability of our military space assets through use of multi-satellite constellations and new technology for servicing and refueling those constellations.” According to The Wall Street Journal, President Trump administration’s evolving space policy is expected to foster private investment. 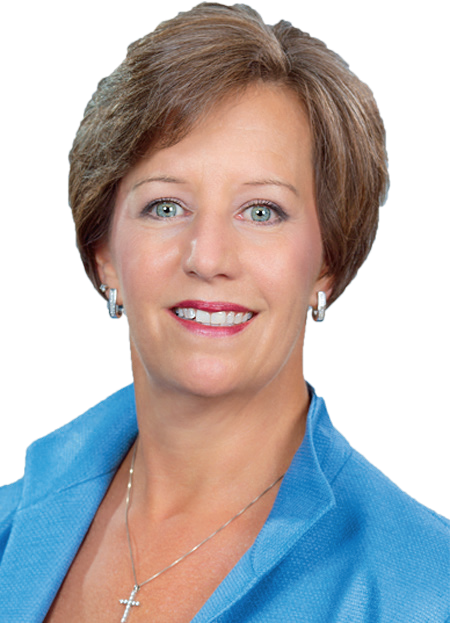 As leadership moves forward with such initiatives, we have already seen tangible, positive outcomes of commercially available, end-to-end capabilities built to government requirements. The military depends heavily upon satellites for global navigation and timing, communications and ground surveillance, among other operations. However, most of the military satellites were launched at a time when the space environment was considered benign. With today’s adversaries able to jam satellites or shoot them down with ground-launched missiles, this is no longer the case. This speaks to the urgency for optimal resilience in space, through diversity, distribution and protection. To achieve diversity, the DoD leverages industry partnership to access a wide range of constellations, frequency bands and functions, addressing different needs throughout different attributes and creating a robust, resilient environment in space and on the ground. Consequently, US forces can deploy systems from the military while gaining more capabilities—such as global mobility—from commercial operators. Distribution refers to the need to separate missions with distinctive purposes, so users are not entirely dependent upon a single satellite for everything—surveillance, communications, etc. Available commercial resources lend assistance here too, as satellite companies can quickly integrate capabilities to support a range of tactical functions. Traffic is distributed within all commercial and military properties, so the mission proceeds regardless of which satellites are jeopardized by degradation or a threat. Another advantage: Because companies serve both public and private customers, they “muddle the target picture” for adversaries, reducing the incentive to compromise systems. Private industry is setting standards for protection too, constantly hardening space assets not only for government customers, but for those in banking/finance, oil and gas, etc. To continue earning their trust, satellite companies are devoted to design, command encryption and a vigilant mission assurance posture. They are highly incentivized to defend satellites with the latest in proven anti-jamming mechanisms. They also pursue the proliferation of our space installations to boost redundancy—in the rare case that an adversary would compromise one, they have others that are nearby, interoperable and readily available on the orbital belt. Thus, the DoD mission endures without interruption, even if military assets are compromised. 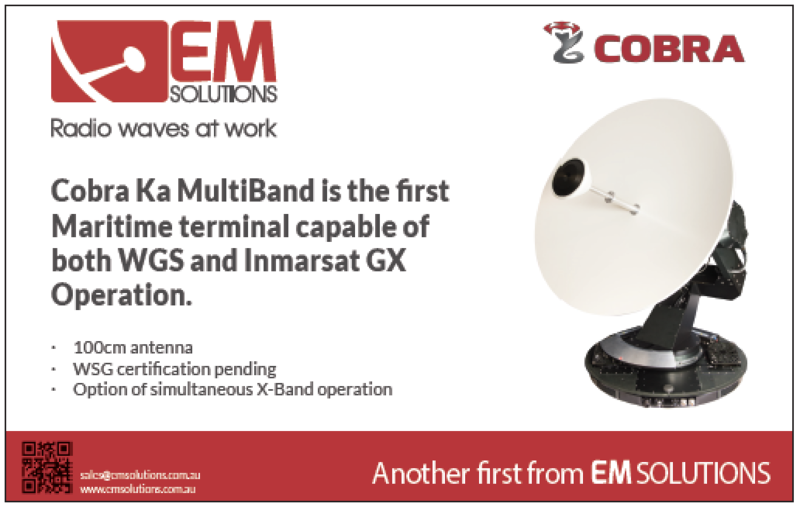 Even while benefiting from COMSATCOM, government users access and control wideband capacity as part of their own independent network, in the same frequency band and WGS system. They have the option of connecting their military terminals through any DoD-certified waveform to the same destined Point of Presence, or through industry-provided secure enclaves. Either way, users are assured of authenticated Point of Presence in completely trusted locations, with vigilant network protection mitigating risk while safeguarding the enterprise. In the process, industry obtains revealing insights into the types of responses available inside of government operations, along with a deeper understanding of national security implications. Subsequently, satellite companies adjust design elements and business strategies accordingly, paving the way for tactics, techniques and procedures (TTP) to function more effectively and safely in this diverse environment. Though a fully realized partnership, servicemen and women view satellite communications with the same sense of readily available utility. They control what capabilities they obtain, instead of being “assigned” to whichever technologies that a particular government authority provisions to them. They gain entry to a diverse range of functionalities and spectrum assets, with a massive volume of bandwidth. As a result, users reap the mission-supporting rewards of exceptional capability, capacity, redundancy, diversity, protection, scalability and global portability. The disparate, stove-piped SATCOM procurement procedures will fade away as a forgotten relic, and we will continue to advance augmentation efforts as we move forward. Rebecca M. Cowen-Hirsch is Senior Vice President for Government Strategy and Policy at Inmarsat, the leading provider of global mobile satellite communications. Ms. Cowen-Hirsch is responsible for establishing Inmarsat’s strategic direction and policy, and leads the company’s shaping of its US government focused capabilities and partnerships.